Like pudding? Like a healthy breakfast? Then you need to make a smoothie bowl. 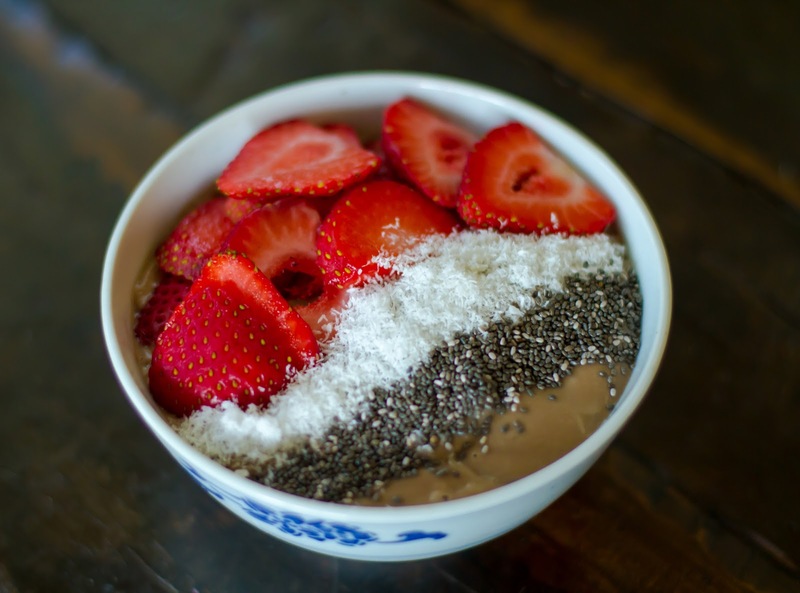 Smoothie bowls bring a delicious and healthy "pudding" option to the breakfast table. And I mean, creamy chocolatey pudding, is a pretty great way to start the day. I know, smoothie bowls are trendy. To be honest, my first thought was why not make a darn smoothie? Why bring a spoon into this morning situation? Then, I made one. OK. I get it. It's thicker, creamier and wonderfully pudding-like. And, I do like pudding. With some crunchy toppings, it's a pleasing balance of textures and a limitless combination of flavors. Fine, then. Smoothie bowls get a thumbs up. Now, what better way to celebrate this new fondness for smoothie bowls than with a recipe for a chocolate flavored one. The key to the creamy, pudding texture comes from an avocado and frozen banana. For the chocolate factor, I used some of the Elmhurst Harvest Chocolate Almond Milk from my Degustabox. If you'd like to regulate your sugar intake a bit more, by all means, use an unsweetened milk or milk alternative, unsweetened cocoa powder or cacao, and sparingly use a sweetener like honey or maple syrup. I like to top my smoothie bowls with some type of fresh fruit, then one or two crunchy things. In this case, the lure of the local ripe strawberries on the counter struck again. Chocolate and strawberries are a perfect match. Why mess with perfection? Then I went tropical with some flaked unsweetened coconut and for an added healthy punch, some chia seeds. 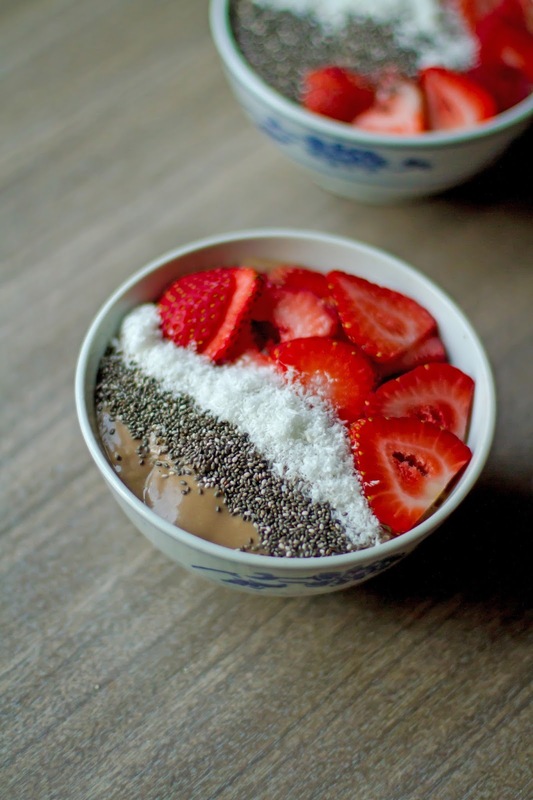 Top each bowl with 2 sliced strawberries, 1 teaspoon coconut, and 1 teaspoon chia seeds. Looks interesting, but I'm such a texture person that my pudding has to be just pudding. But the rest can be on the side.